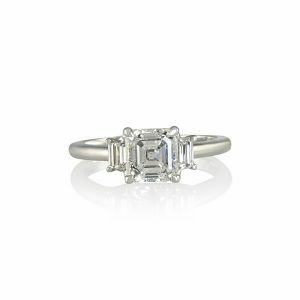 Asscher cut diamonds have a quiet look, although not as quiet as emerald cut diamonds and they have a square shape versus rectangular. 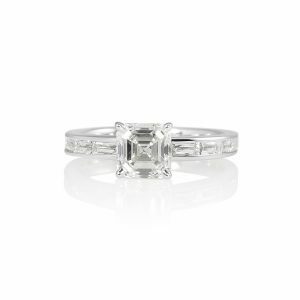 They look great in art-deco style settings also with other geometric shape side stones. 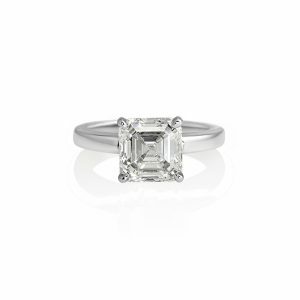 In general, a ring with an Asscher cut diamond will have a clean look. 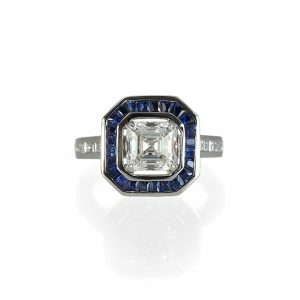 Similar to other geometric shape stones such as emerald cut and princess cut diamonds, they look great on fingers that line up straight next to each other and if your finger tips are more square than rounded. 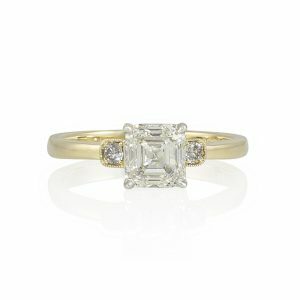 The Asscher cut diamond is very unique. 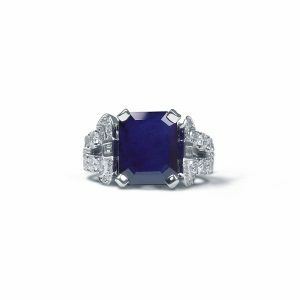 You can’t really compromise on any of its qualities as everything is eye visible. 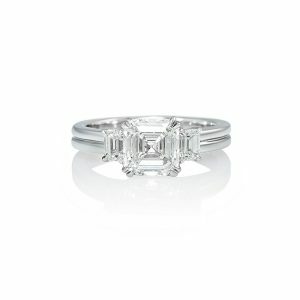 Because of their facets, inclusions will show. 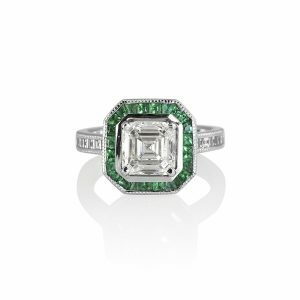 Unlike emerald cut diamonds, they will also show color more easily and their proportion of length to width ratio needs to be between 1 and 1.05. 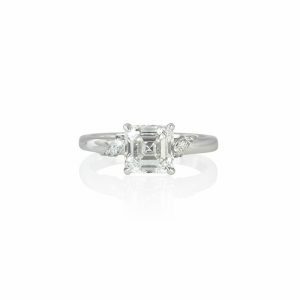 According to your budget, I will bring in different carat weight Asscher cut diamonds with different combinations of color and clarity for you to choose from. 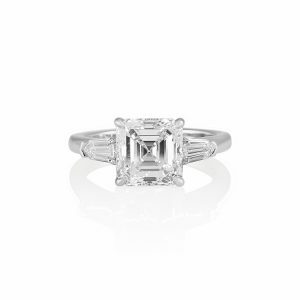 One quality that they will all have in common is a beautiful proportion and a beautiful sparkle.